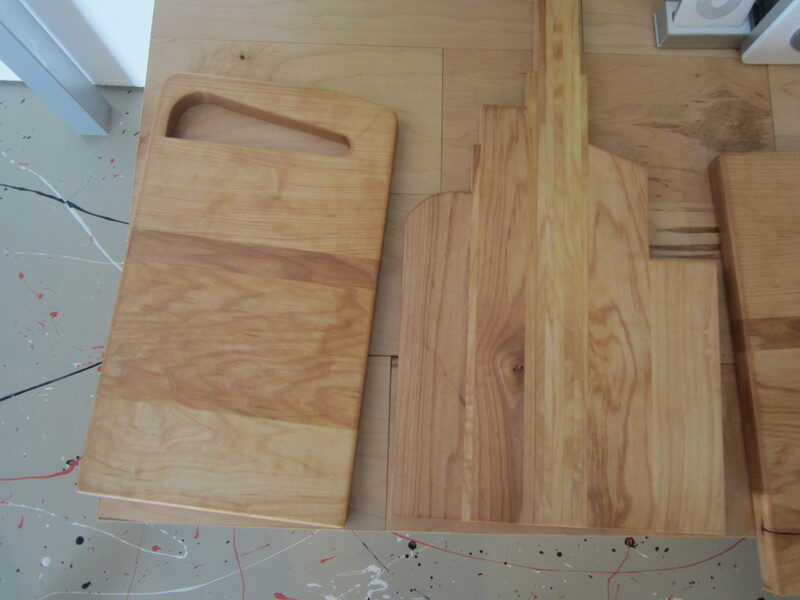 Dale Hoffmeyer could make art from anything, but the reason I went to visit him was his wooden cutting boards. I am a member of DC Web Women, a community of folks who work in technology. 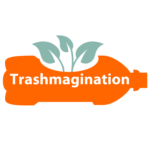 On Fridays, we are encouraged to boast about an achievement, so I posted a note about Trashmagination and my new Story Loom. Dale’s wife, Sue, is also a member of DCWW. After she read about Trashmagination, she contacted me about Dale’s cutting boards. I needed a new cutting board, so I asked if I could interview Dale for Trashmagination. 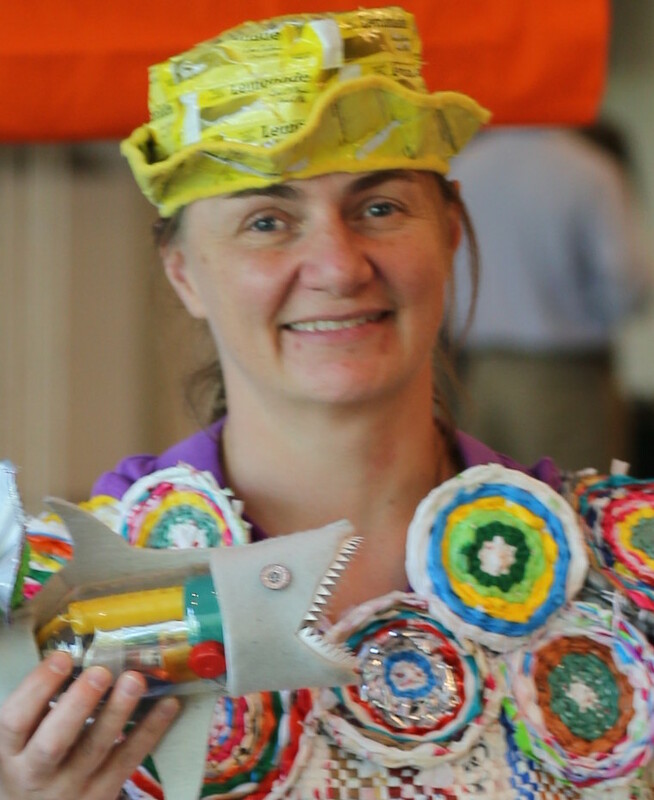 When you find someone with your same love of creative reuse, it’s a very good idea to have a chat. Where Does Dale Get His Wood Scraps? Dale and Sue live in Falls Church, Virginia, in an older neighborhood. Properties are large, so it’s now popular to tear down older homes and build larger houses on these lots. This means there is a lot of beautiful wood available that is likely to head into the garbage otherwise. 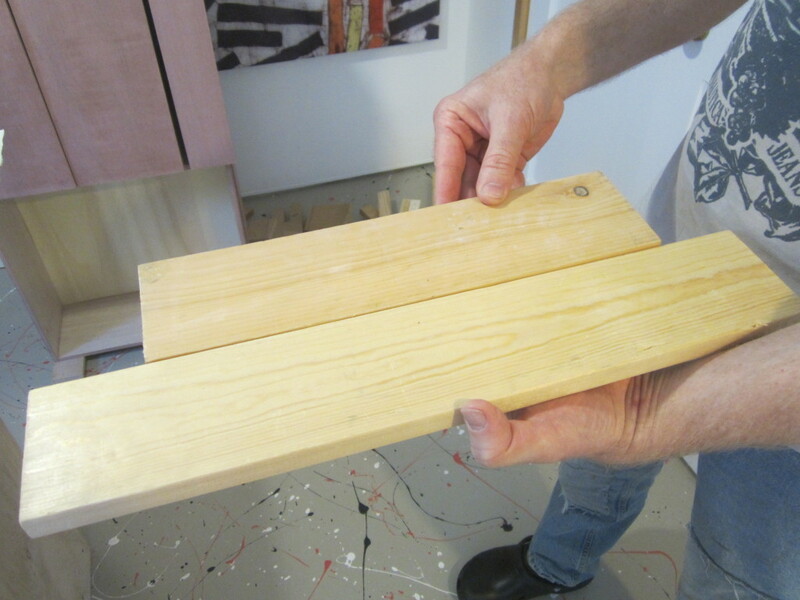 When he finishes these projects, he has a lot of scraps, which he collects in the corner of his studio. 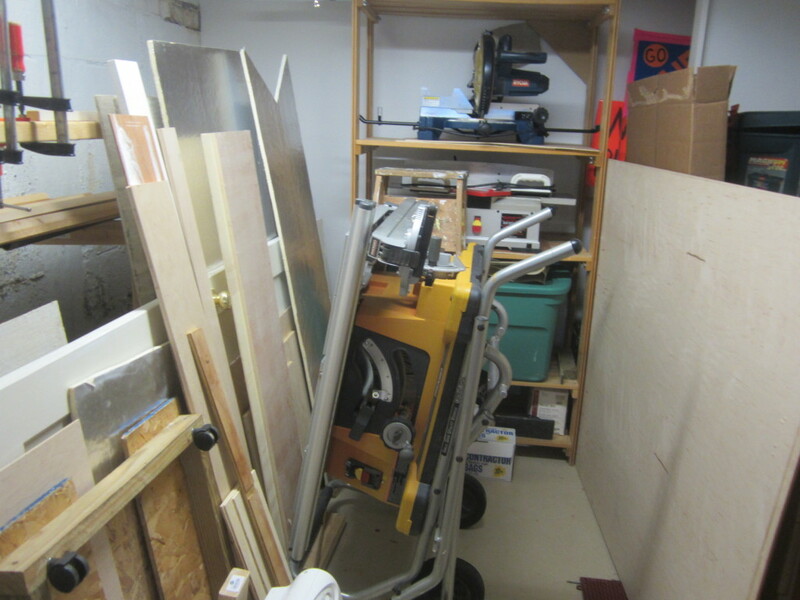 When the weather is not too hot, and not too cold, Dale wheels his wood working tools into his backyard from a storage closet where he stores them. He likes to work outside the reduce the amount of dust that gets into his house. In his backyard, he cuts the wood pieces into a fun shape. He glues them together and clamps them tightly. 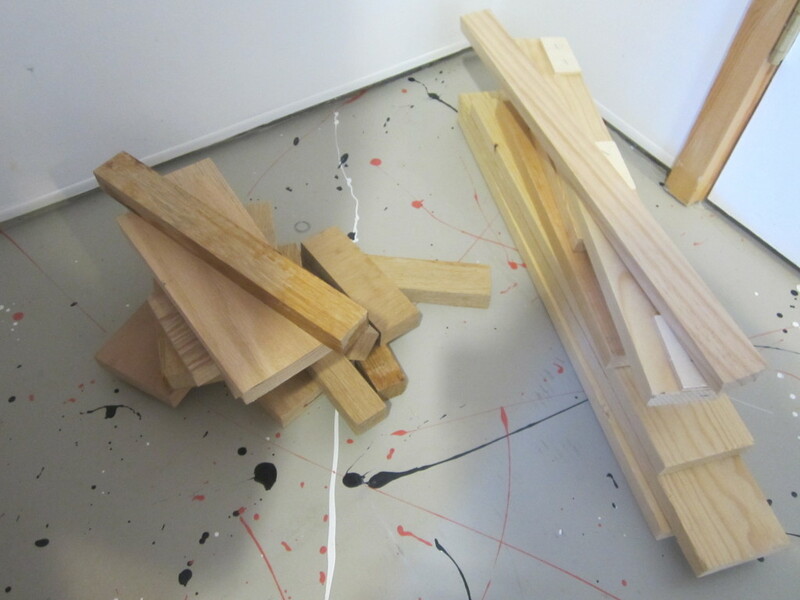 There are a variety of ways to glue the wood together. You can lay the pieces side-by-side. This works best for harder woods like maple. And you can lay them short ends together as well. This is essential for softer woods like pine. Dale uses yellow wood glue. 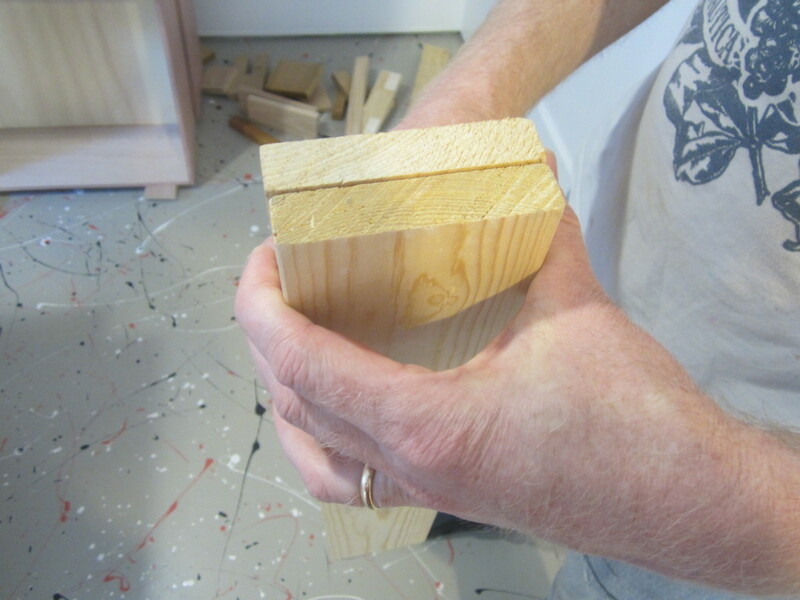 He smoothes them with a planer, polishes them, and rubs a special mixture of beeswax and mineral oil. He keeps adding mineral oil until it stops soaking into the wood, then wipes it off. The result is the smoothest, softest cutting board ever. I bought his smallest one, mostly because I like a nice small board that I can move around from one part of the kitchen to the other. But from an artistic perspective, I love the ones where he does not cut it into a square or circle, but leaves the pieces sticking out. This uses every last inch. It looks like a “city scape” to me. He recommended I don’t leave my new cutting board to soak in a sink, and to wash it occasionally with Kosher salt and lemon, or peroxide and water every so often. 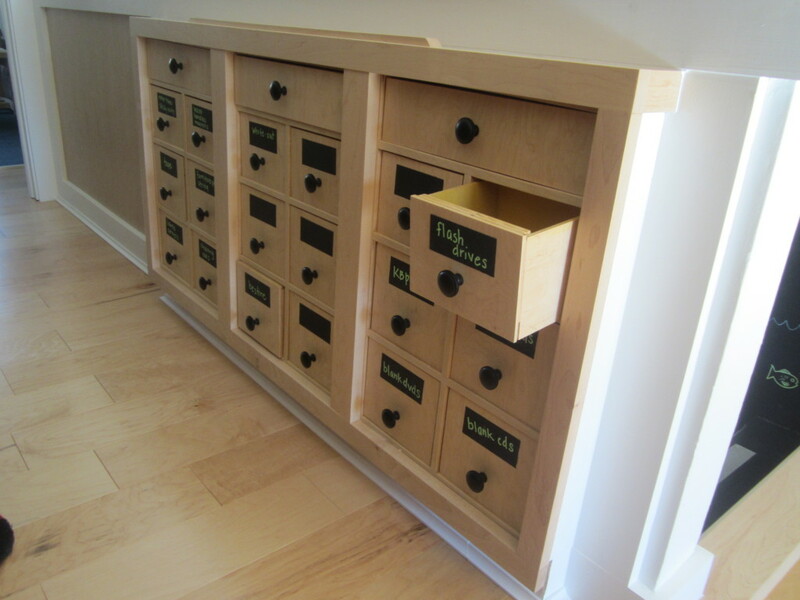 There are also butcher block conditioners and he likes the Howard brand. 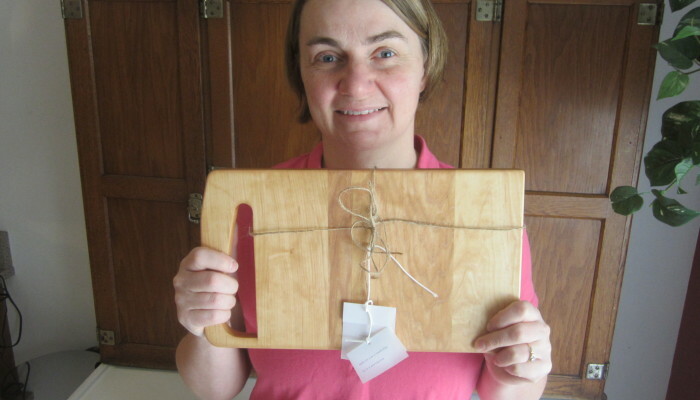 Why Does Dale Make Cutting Boards from Wood Scraps? Dale’s uncle made the top of a table when Dale was a child. It was made by taking many tiny pieces of wood and gluing them together in a geometric pattern. Dale always admired that table top. He says he doesn’t know why his uncle cut the pieces so small and in fact, cut off the end of his thumb at one point. Dale has a similar challenge as me on trash day. He has to control himself from picking up lots of things out on the curb because he sees the potential of so many objects. 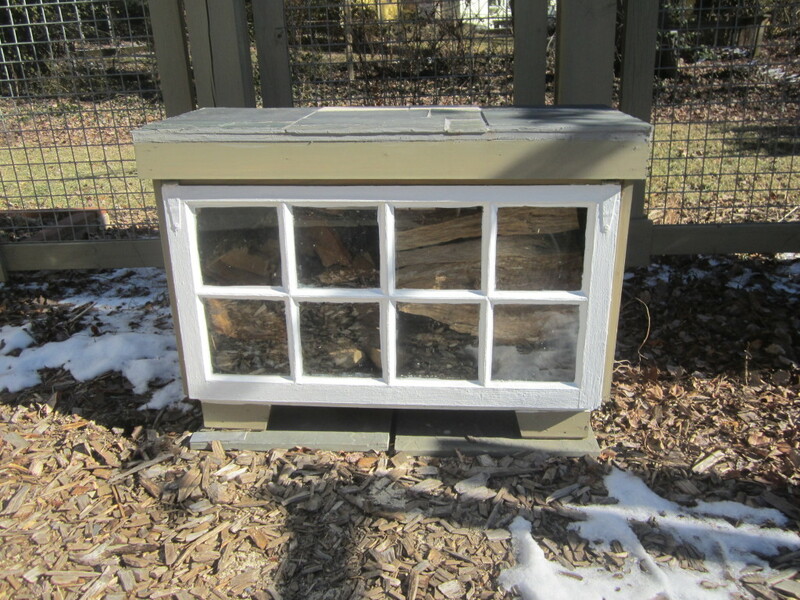 He built a shed to store the best finds, but he relies on Sue to stop him from picking up too many things (sounds like my husband). 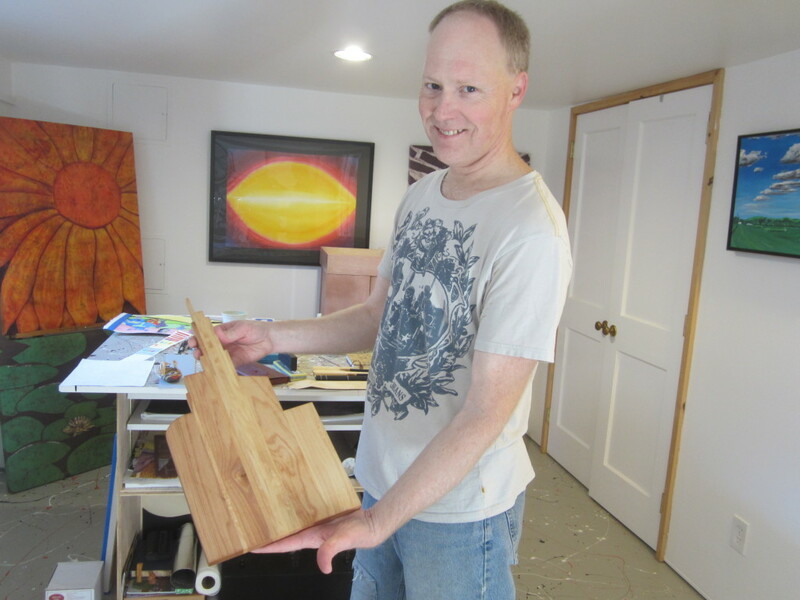 Check out Dale’s Etsy store to see his cutting boards and paintings.